After craving the taste of home, these cousins found a way to bring authentic Ilocano empanada to the big city. Obrien Pangan and his cousins, Venice Velasco and Chino Gil, always wanted to venture into business together. 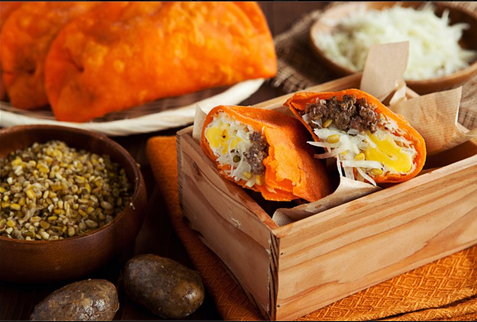 When they found a craving for the empanadas and the other beloved dishes of their native province of Ilocos Norte, they decided to start a food business, Empanada Nation, based on that region’s cuisine. With that idea in mind, they began speaking to Ilocano cooks and learning about the process of making the Ilocano longganisa and bagnet, a popular Ilocano pork and vegetable dish. Longganisa is the main ingredient of the empanada stuffing. The cousins also turned to the region’s nightlife in order to deliver an authentic Ilocano culinary experience in their restaurant. “For the authentic Ilocano nightlife and gathering place, there’s the empanadan,” says Pangan. When people go out for drinks, Ilocanos don’t go to clubs or bars, he explains. They go to the local empanadan where they can drink and enjoy an empanada or two dipped in Ilocano vinegar. “When you’re from Ilocos, you know where to get the best empanadas,” he adds. Their adherence to local custom also proved useful when the cousins went in search of suppliers. “We have two Ilocos-based suppliers.” The supplies arrive to Manila every two to three days. All of their recipes, including that for the wrapper of their signature dish, are tested by Velasco, who is in charge of their R&D, for authenticity and loyalty to the Ilocano way of cooking. Empanada Nation didn’t start out as a restaurant, however. With a little over P100,000 in capital, the cousins originally put up a take-out counter in July 2010 where they had less than five people on staff. But as business grew, they moved to a new location where they could add a proper dining area for their customers. Empanada Nation now has more staff to prepare and serve not only their empanadas and bagnet but also new items on the menu. Empanada Nation also hires Ilocano cooks and managers to stay true to their Ilocano claim. “We help house them, too,” shares Pangan. Their staff is just as genuine as the food they offer, and that helped gain not only the attention of Ilocano diners in Metro Manila but also non-Ilocanos who are looking for Filipino comfort food. 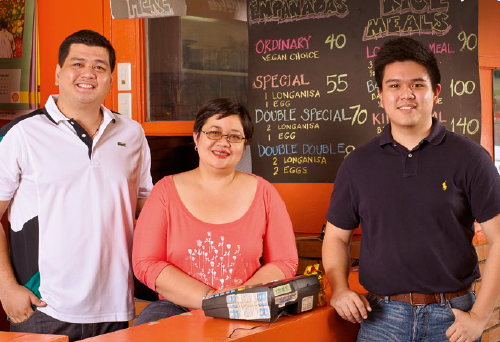 Pangan and his cousins are looking into expansion, and even franchising, soon. “We’re still dealing with how we’ll source and get staff for other branches,” he says. “And we’d have to think of how we would run a commissary.” For now, however, they’re happy with their business and the touch of home it adds to the big city. 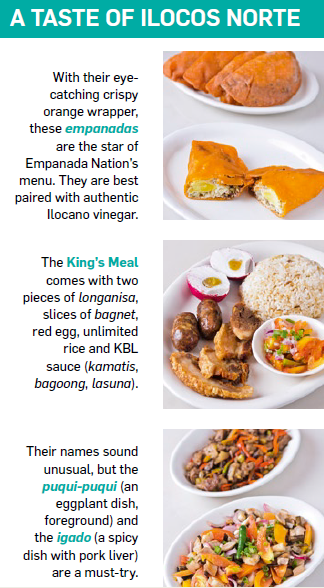 Editor’s note: Empanada Nation now has three branches: in Quezon City, SM Megamall Food Court, and Makati City. This article was originally published in the April 2012 issue of Entrepreneur magazine.